* Bass Pro Shops: Eligible military members receive a 5 percent discount every day on select products and Cabela’s gear with a valid military ID. * Champion: Military personnel and veterans get 10 percent off. 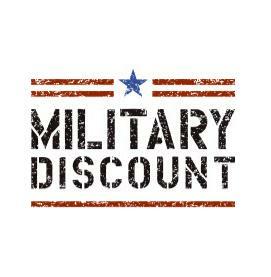 * Big 5 Sporting Goods: Active-duty and reserve military personnel, retirees, and veterans receive a 10 percent discount on their in-store purchase. * Foot Locker: Qualified military personnel can get a 20 percent discount off most purchases on Footlocker.com. * Michaels: Get 15 percent off your purchase – including sale items – every day with a military ID. * MLBshop.com: Military personnel and first responders, along with their spouses and close family members, get a 15 percent discount on their purchase. * NBA Store: Military service members receive a 15 percent discount on their order. * Nike: Receive a 10 percent discount at Nike.com and at Nike stores as an eligible military member. * NFL Shop: All eligible military personnel enjoy a 15 percent discount to use when purchasing products on NFLShop.com. * Under Armour: For eligible military personnel, the sports retailer offers a 10 percent discount with verification. * Amtrak: Active-duty military personnel, their spouses and dependents can receive a 10 percent discount on the lowest available fare price on most Amtrak trains, as well as permission for uniformed military personnel to skip to the front of ticket lines. This offer is invalid on non-Acela business class, first class or sleeping accommodations. * Best Western Hotels & Resorts: Veterans and active members enjoy at least 10 percent off the flexible rate at Best Western locations in North America. This offer is also extended to Canadian military members who are on official government business travel. * Greyhound: Veterans Advantage card members receive 10 percent off tickets purchased online or at a Greyhound station. * Hilton Hotels & Resorts: Active-duty and retired military members receive a discounted room rate at participating Hilton Hotels & Resorts. Search by the military base, government building or local attraction to check availability and view exact discounted room rates. * Motel 6: Get a 10 percent discount on a room with a valid military ID. * National Car Rental: While traveling on official business, U.S. government travelers can enjoy benefits, including a loss damage waiver, discounted rental rates and no fees for additional or underage drivers. * Red Roof Inn: Active military members and their loved ones can enjoy 10 percent off their room. A 20 percent discount is available to those carrying a VetRewards card. * Sandals: Take advantage of an additional 10 percent savings on top of current promotions when you book a Sandals luxury all-inclusive vacation. * Travelers: Members of PenFed Credit Union could save an average of $550 on auto insurance. * United Airlines: Veterans Advantage members receive up to 5 percent off tickets for United- and United Express-operated flights purchased on United.com. * Apple: For eligible military members and their families, discounts and promotions are available. You can purchase or “sponsor” up to three system bundles or displays, three iPads, three iPhones, three watches, and up to 10 iPods each full calendar year from January 1 to December 31. * AT&T: Qualified active-duty military and National Guard service members, reservists, veterans, and spouses of active-duty or deceased service members can receive 15 percent off their monthly service charge under qualified plans. * Boost Mobile: Temporarily suspend service and service charges under the Deployed Military Program. * Samsung: Military Discount Program members can save 20 percent on a Galaxy S8, S8+ or Note8 smartphone. * Microsoft: Enjoy a 10 percent discount on various Surface devices as an active, former or retired military member. Former service members who are business owners are eligible to receive discounts on Microsoft products they need for their business. * T-Mobile: All U.S. military and veterans receive 50 percent off family lines. * Massage Envy: At participating locations, all active-duty military personnel can join Massage Envy at a savings of $60 annually. 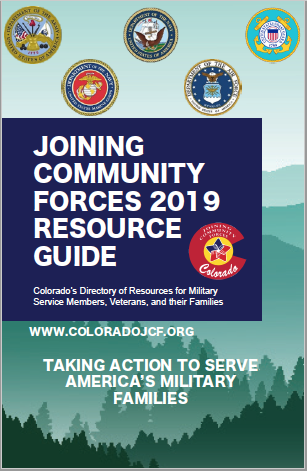 * National Park Service: Get free entrance into national parks across the U.S. with the free annual pass for U.S. military, which you can obtain by showing a military ID. Standard amenity fees and day use fees for a driver are also waived with the pass.